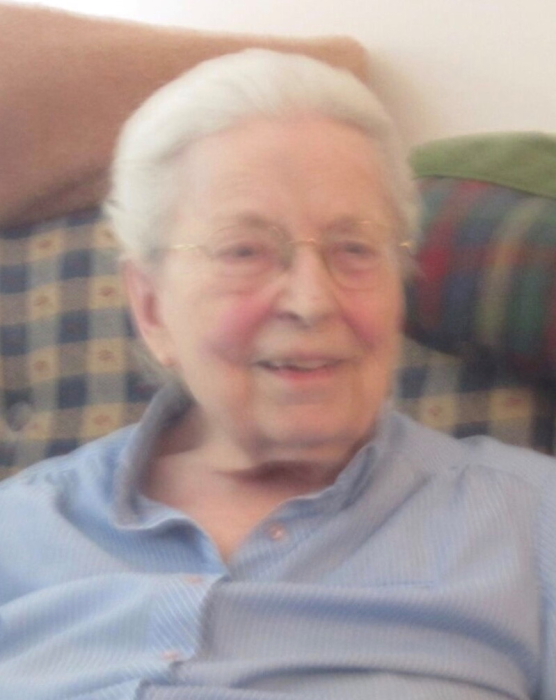 Kathryn “Kate” Elaine Sprunger, 93, of Berne, IN, went peacefully to be with the Lord Jesus Christ, Monday evening, April 15, 2019 at Swiss Village Retirement Community. She was preceded in her passing by her father and mother Noah and Amelia Sprunger, and her three brothers, Roger (Deloris) Sprunger, Adrian Sprunger, Stanley Sprunger, and brother-in-law Clarence “Ittle” Buckingham. She is survived by her two sisters Helen (Sprunger) Buckingham and Marjorie (Sprunger) Gaskill, both of Berne, as well as her sisters-in-law Grace (Baumgartner) Sprunger of Berne, Mary Lou (Barger) Sprunger of Columbus, IN, and brother-in-law Larry Gaskill of Berne. Kate was characterized by a strong, meticulous work ethic and being a life-long learner. She was known for her quick wit, her love of books, and an interest in politics and current events. Following graduation from Geneva High School, Geneva, IN, she worked at Sprunger and Lehman’s in Berne where she loved helping and serving customers. Soon she sensed the call of God to continue to advance her education in a Christian context, which led her to travel out of state to attend Bob Jones University School of Commerce in Greenville, SC, where she studied Business Administration. Following her time at Bob Jones, for a number of years, she pursued a career in modeling, working for the young and thriving companies of Revlon and Sears & Roebuck, traveling the eastern half of the United States. She eventually settled in Chicago, IL, off of North Lake Shore Drive with in an apartment overlooking Lake Michigan. There in Chicago she resumed her interest in business. For the next forty years she worked as a legal secretary for multiple prominent Chicago attorneys and political figures. Always the one eager to learn, she continued to advance her education and hone her secretarial and administrative skills by taking classes at the Management Center of Cambridge, MA, and excelling in evening classes at Central YMCA Community College and Robert Morris College in Chicago. Since her youth Kathryn was a member of First Mennonite Church of Berne. A time of family visitation will be held on Saturday, April 20, 2019, from 2-4 pm in the auditorium of Swiss Village in Berne. The funeral service will follow at 4 pm. Officiating the service will be her nephew Rev. Dr. Jeff Gaskill. Burial will take place in MRE Cemetery, Berne. Memorials may be made to the Swiss Village Samaritan Fund and Grace Bible Church. Haggard-Sefton-Hirschy & Zelt Funeral Home of Decatur, IN are overseeing the arrangements.